In November 2015, forty people from eight countries in Africa and Asia met near Nairobi for a write-shop organised by Access Agriculture. 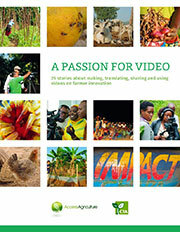 The stories in this volume celebrate the creativity of the many organisations involved in making, translating, distributing, and screening videos in Africa and Asia. Starting with an inventory of an astounding 81 methods, Andean Change selected six, and induced 20 projects to try them in Peru, Bolivia, Ecuador and Colombia. The results went beyond economics. The poor were given a chance not just to make more money, but to communicate, negotiate and innovate with the buyers and processors of their products. Smallholder communities were able to demand more responsibility from government and projects. Critics say that participatory methods only work on a small-scale, and that they are expensive. But Andean Change showed that with expert training, participatory methods produce consistent results in diverse projects at little additional cost. The book Los Dos Saberes (two bodies of knowledge, or two ways of knowing) compares agronomic science with farmer knowledge in four regions of Guatemala. The two bodies of knowledge do have their differences, but they often have much in common. Agricultural scientists and farmers are, after all, fairly pragmatic people, and empirical (in the best sense of the word). Attempts to polarize formal and folk knowledge are probably misguided. 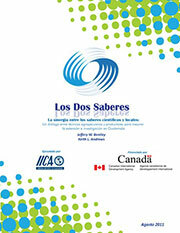 This book is available in Spanish only. To download, click here. 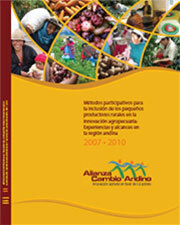 In 2007, the International Potato Center (CIP) and the International Center for Tropical Agriculture (CIAT) started an unusual project, Andean Change, to systematically test the value of participatory research methods. This book describes an exceptionally wide range of experiences. Each of the cases is unique and presents a particular history and set of lessons. The descriptions are accompanied by country profiles that allow the reader to appreciate the agricultural and policy environment that determines the trajectory of these enterprises. Their experience to date offers an exceptionally rich source of data and insights for understanding seed systems and appreciating the diversity of strategies and resources that have been used to create new seed enterprises. Approaches to extension are presented, along with insights in what contributed to their success and assesses their potential for replication and scaling-up. 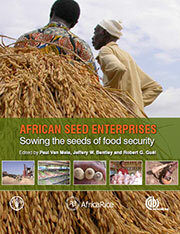 The main sections of the book cover gender, innovative farmer training methods, enterprise webs and seed systems. Read a review by Robert Chambers. More info at CABI Bookshop. Pdf versions of the individual chapters can be downloaded from the list below. 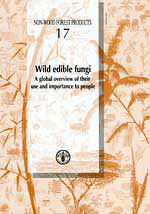 Many people gather wild mushrooms in many countries. This is a comprehensive global overview of what they gather and the importance of the harvest to the predominantly less wealthy pickers. The book gives a country-by-country summary of major species and has an extensive bibliography of case studies describing the value of harvests to poor communities and other related issues. For example, the book discusses concerns about how to manage forests and other natural resources to maintain production as well as the nutritional value of wild mushrooms. 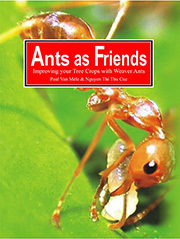 ANTS AS FRIENDS Van Mele, P. and Cuc, N.T.T. This manual for farmer trainers offers a highly exciting discovery voyage about the life of weaver ants (Oecophylla), how you can make best use of them to protect your fruit and other tree crops and as such save money. 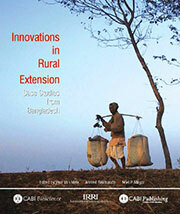 This publication has had global impact and opened opportunities for organic markets. Because the focus is on practical aspects based on improved insights of underlying ecological principles, the book will appeal to all those engaged in communicating agricultural science to farmers. All the topics covered are based on a huge amount of scientific knowledge and farmers' expertise. 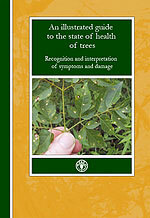 This is a book to help people recognize and interpret symptoms in trees, a process known as field diagnosis. Richly illustrated with a wide range of unhealthy looking features from 60 tree species used in forestry and agroforestry (including fruit trees) from around the world, this is a practical guide for gaining a better understanding of what has gone wrong � and using the (field) diagnosis to work out what to do next. The book includes photographs of specific symptoms and damage on foliage and branches as well as a more general decline of older trees. An account of how the success of forestry and agroforestry projects in three countries (Nepal, Kenya and Bolivia) depends on understanding biological, social and cultural diversity and applying this knowledge to meet the needs of rural people. 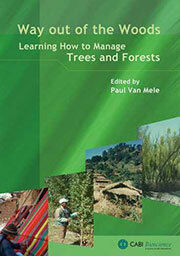 While the subtitle may be 'Learning how to manage trees and forests' a significant proportion of Way out of the Woods focuses on gaining insights from communities, and assisting their own forest management. A short introduction on the need to understand the biological, social and cultural context of any particular forest is followed by case studies from Nepal, Kenya and Bolivia, which give a careful and honest account of the trials, errors and successes experienced in three participatory forest management projects. A concluding chapter highlights the most promising ways of developing management techniques, emphasising the integration of both scientific and local knowledge and the need for trust and openness. Important lessons which will help practitioners avoid repeating the same mistakes and point the way to more effective approaches to community participation. More info at CPL Press. The wave of on-farm research with farmers themselves (the so-called "participatory" research) largely bypassed the coffee sector. Coffee is a perennial crop which can be (or not) environmentally sustainable, and socially equitable, depending on how the crop is grown, which is why it is crucial to involve farmers in research. 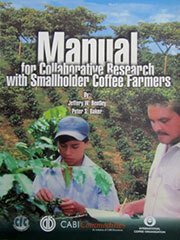 This manual looks at the successes and failures of coffee research in Mexico, Honduras, Colombia and Ecuador to explain research methods, relating with farmers, extensionists and scientists, learning farmers' research needs, conducting research in communities and research protocols.